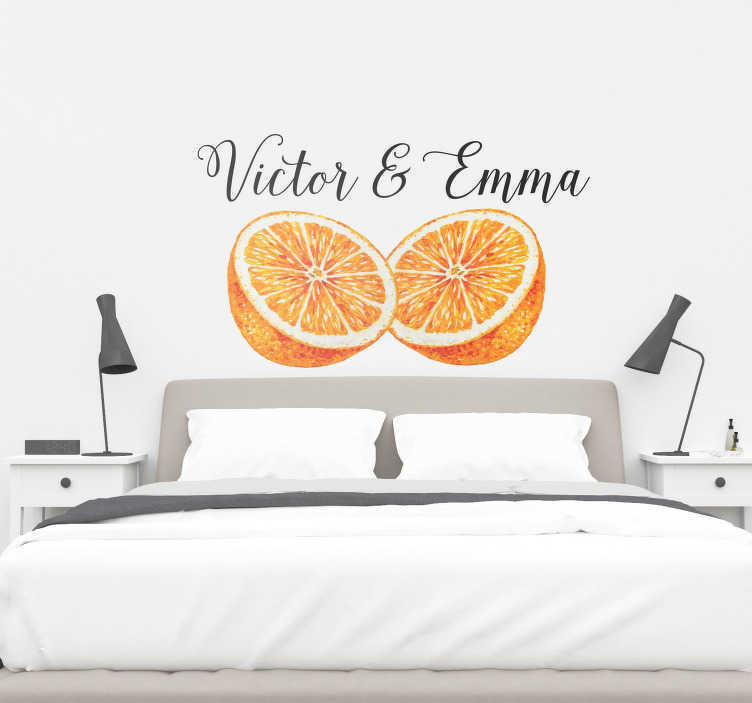 Decorate your bedroom with this unique and original headboard sticker, depicting an orange split in half, as well as two names on top of it! Perfect bedroom decor for those who wish to add a fun, yet romantic touch to their bedroom. Looks great in your bedroom, but don´t worry - It will look great anywhere else in your home!